With luscious rainforests, turquoise waters, an abundance of accommodation options, and Fijian adventures for days, Fiji is an ideal tourist destination. But I can find those exact things in other parts of the world and avoid the long flight and costs. So what is the draw to Fiji? Why is it on everyone’s bucket list? Rich with history and culture, Fiji offers something more and I experienced it first hand today. During the Sigatoka River Safari, we cruised up the magnificent Sigatoka River to visit an authentic Fijian village and experience a day in the life of the real Fijian. Our driver brought us on a journey to life, the way it is experienced in the village away from cell phones, computers, and “traffic” and I discovered that I would travel around the world a dozen times over to spend a day with the Fijian people. Though Fijians are quite relaxed, it is important to show respect toward their traditions and culture. Women generally dress modestly and cover their legs so Sigatoka River Safari gave a sulu for each woman on the safari. I wasn’t sure how to wrap it appropriately, but our guide provided instructions. 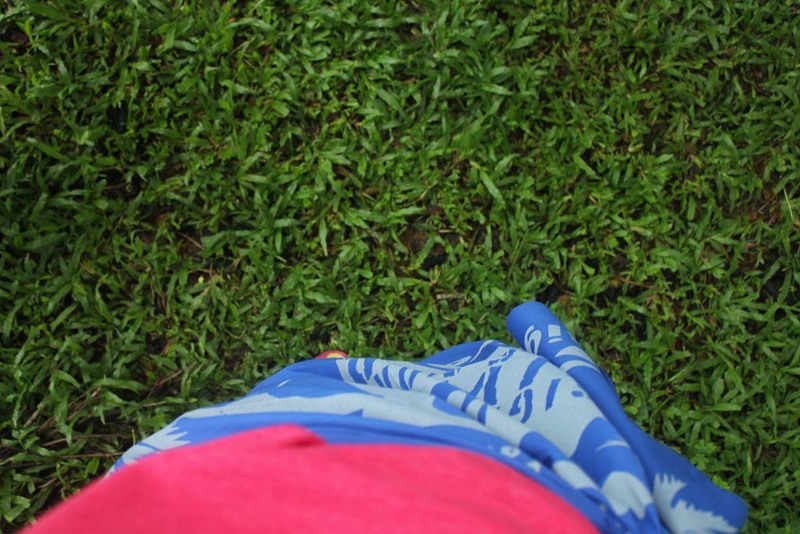 With my sulu on as a cover for my shorts, I was ready to explore the village. At first, I was shocked at the conditions in the village. I thought about how unhappy I would be to live with so little. The houses were small and almost empty. Then, I saw children playing. They had a few marbles and they were flicking them with their fingers playing a game. Every child had a smile on his or her face. They were outside and active without being glued to a TV screen or a worrying about internet access. They were friendly and welcoming and proud of their village. What an innocent way to view life. I started to wonder if they were better off; richer for their connections to the land rather than the couch. One particular little girl, Mary, took a liking to me and we shared several moments together during a Kava Ceremony (I’ll explain more about the Kava Ceremony in another post soon). We made up a hand clapping game where we added more and more steps until one of us forgot what came next. We both found complete happiness in the simplest game and the afternoon flew by in a blink. Quickly, I could see how the simplicity of it all was one of the biggest draws to Fiji. 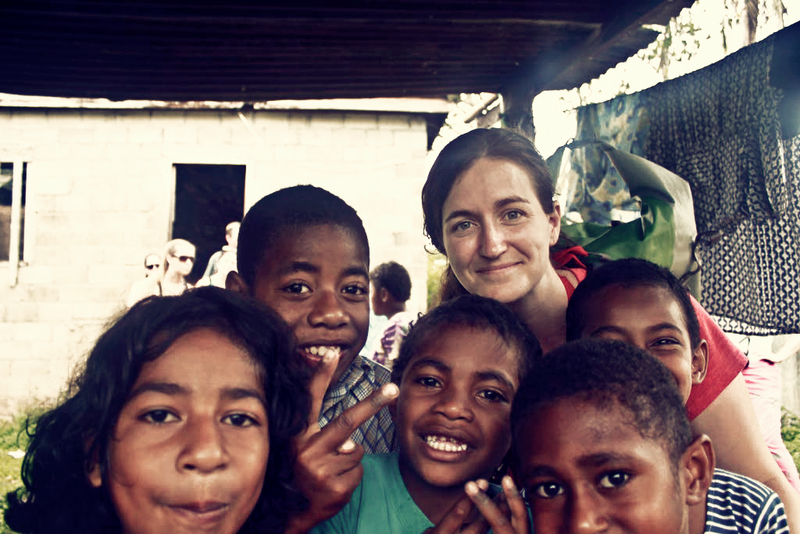 Interacting with the villagers reminded me that the people of Fiji are what make it special. Children are being taught values and respect and they are growing up with those cultural connections. 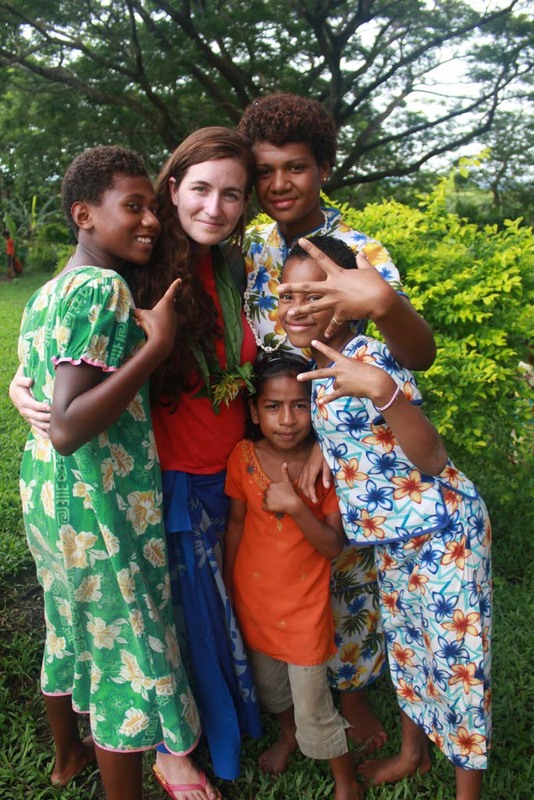 Smiling, generous, and relaxed, Fijians greet you and everyone they meet with their famous and welcoming ‘Bula’. They are not afraid to where their heart on their sleeve and love one another. Mary, and all of the village children, followed us as we prepared to leave the village. She hugged me and blew kisses while I boarded the boat. I mirrored her caring demeanor and felt loved. No one judged or questions our motives; they just were, and everyone was happy with that. Beauty surrounds us around the world but it is only skin deep. It is the local people who make a destination a home. I’ll visit Fiji again because I now have family here in a little village on the Sigatoka River. Wow, that is so kewl Lesley!! I have often wondered how kids would be today with no x boxes or play stations and tv or computers! You don’ hear “yes ma’am or yes sir” coming from kids mouths but once in a blue moon! Thanks for sharing this lovely post!! Hugz to you!